The dwindling hopes and fast depleting ranks of the APC in Akwa Ibom State took another hit this morning when it lost a critical member of the party in Oruk Anam Local Government of the Ikot Ekpene Senatorial District. The District and its Stakeholders realising that it is logical, equitable and right to allow Governor Udom Emmanuel go for a second term just as other districts in the past had supported the immediate past Governor, Senator Godswill Akpabio in his second term bid, even with the insurgent candidacy of John Akpanudohedeghe of the defunct ACN in 2011, had been telling its people that it would be politically suicidal for future sons and daughters of the district if they were to turn their back against Governor Udom Emmanuel’s bid for a second term. At a solidarity visit to Governor Emmanuel this morning at Government House, Uyo led by the sole aspirant for the Senate under the platform of the PDP, and former Deputy Governor of the State, Engr. 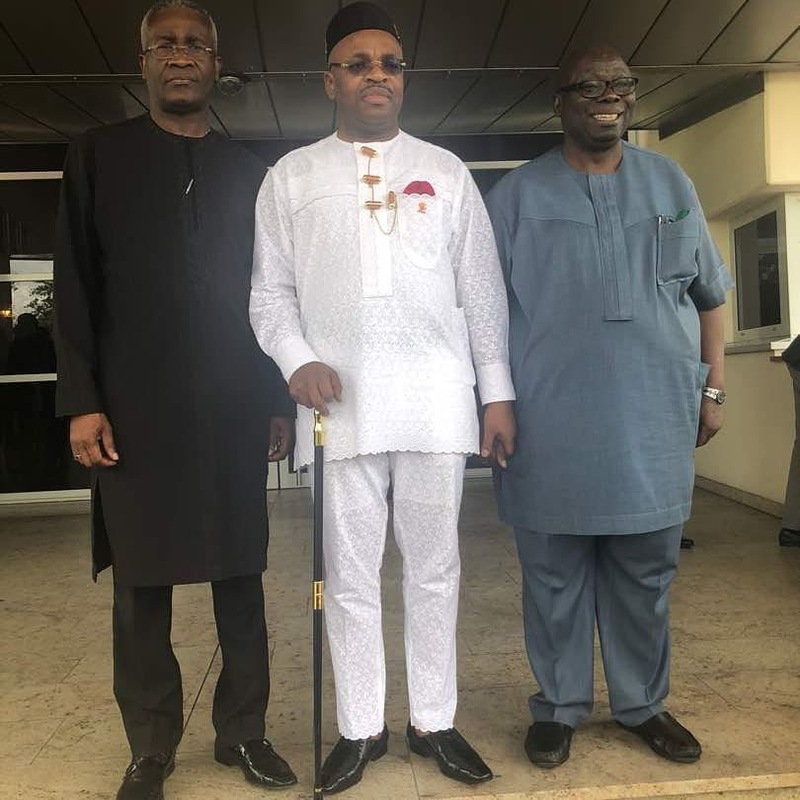 Chris Ekpenyong, Mr. Aniekan Etiebet, a nephew of the Leader of the APC in Akwa Ibom State, Chief Don Etiebet, said it was the right thing to do, by defecting from the APC to the PDP. “This goes beyond family ties; this is about the future of my kids and indeed the future of other kids from the Ikot Ekpene Senatorial District. Governor Udom Emmanuel has been a spectacular success; he has performed spectacularly well, and truth be told, no matter the lies my former party tells, the evidence of the governor’s performance are there for everyone to see.